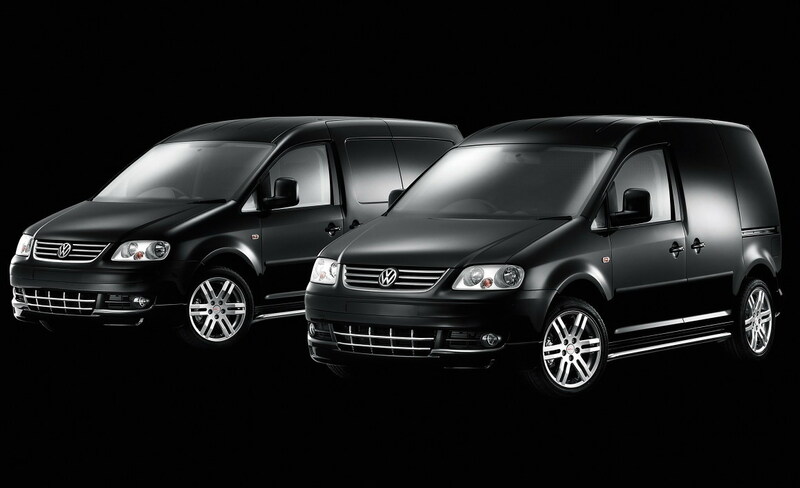 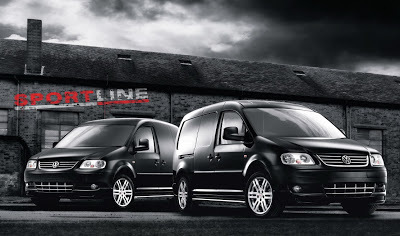 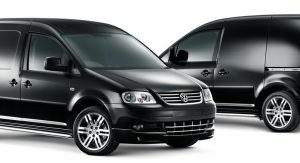 The Caddy Sportline models are available in a choice of three paint colors – Tornado Red or optional Reflex Silver metallic and Diamond Black pearl effect paint – with basic retail prices (excluding VAT) starting from £17,000 for the Caddy Sportline and £18,280 for the larger Caddy Maxi Sportline. 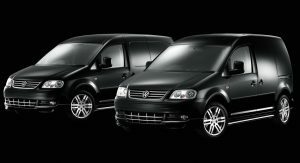 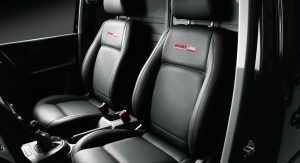 Exterior enhancements for both vans include chrome side rails and front grilles, lower front spoiler with integrated fog lights, rear roof spoiler, body-colored bumpers, mirrors and door handles, plus unique 17-inch six-spoke alloy wheels. 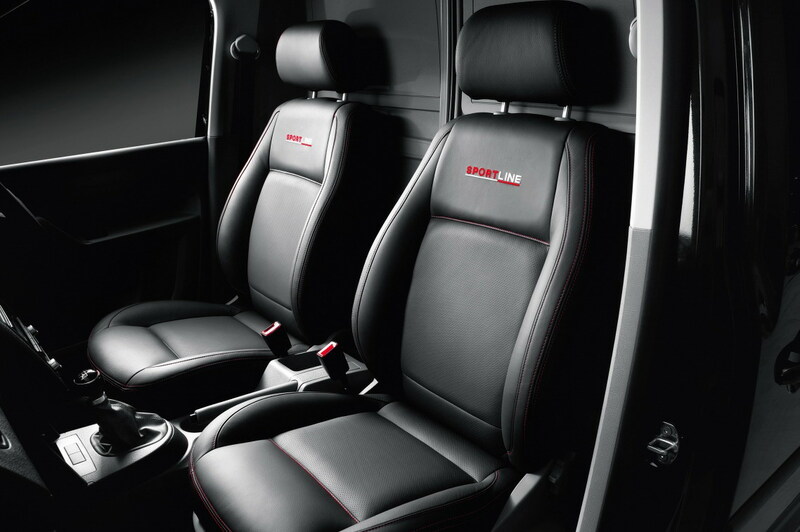 The Sportline’s interior features bespoke black Italian leather upholstery with red stitching, microperforated red centre panels and an embroidered Sportline logo, plus electric windows, ‘Climatic’ air conditioning, a radio/CD and electrically operated and heated door mirrors.